Generally speaking, train journeys are not particularly pleasant. They are a necessity in order to get from A to B and nothing more. In fact, train journeys are usually so boring that we take a book or an iPod with us to relieve some of the monotony. But what if I told you that there was a train journey so beautiful that you didn’t need external distractions. What if I told you that there was a seven-hour train journey that passes through more stunning landscapes than you’d ever seen before? A journey so beautiful that you will be disappointed when it ends. This, my friends, is exactly what you can expect from the journey from Kandy to Ella. Often dubbed the most scenic train journey in the world, the passage truly lives up to its reputation. Not sold? 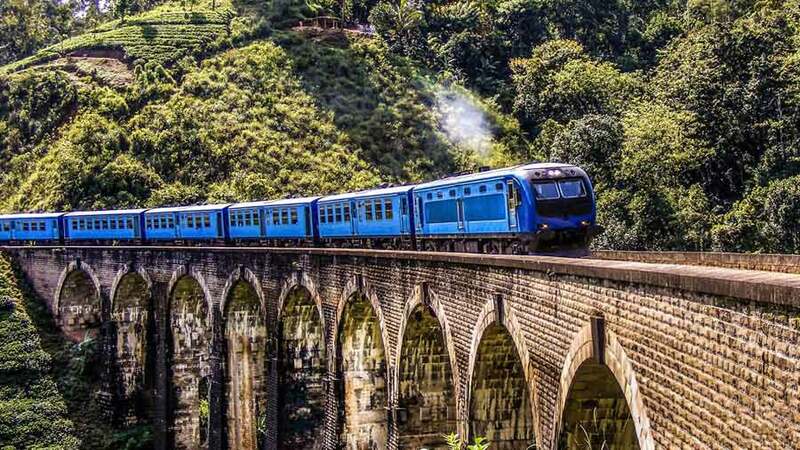 Read on to find out why you should take the train from Kandy to Ella. The train from Kandy to Ella is used by hundreds of locals and tourists every day. 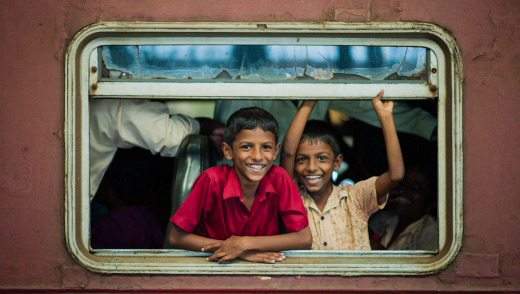 The Sri Lankan government has capitalised on this by making the train as varied as possible to suit all tastes. The carriages are divided up into 1st, 2nd and 3rd classes and there is also a 1st class observation carriage. 1st class has the luxury of air conditioning and is much more spacious than the other carriages. However, the windows don’t open so taking photos is hard. The 2nd class carriage is a bit less extravagant than 1st class but still has individual seats for passengers. 3rd class just has benches for people to sit on. In reserved carriages passengers will have a bit more room because people are not allowed to stand in them. Unreserved carriages will be a lot more packed. One nice thing about 2nd and 3rd class carriages is that the windows open. This means you can stick your head and feel the wind whip through your hair. Or you can hold your camera out of the window and get some amazing shots of the scenery. The 1st class observation deck is the most interesting of the carriages. If you can get a ticket for this carriage then lucky you – you’re in for a visual treat. The carriage is at the rear of the train and the seats face backwards. At the back of the carriage is a huge window so passengers can look out of the window back along the tracks. The observation deck is the best carriage for viewing the scenery. Also, due to there not being air-con, the windows open, making it easier to take photos. The only downside to this carriage is that it doesn’t have that authentic Sri Lankan train feel to it. Usually there are two different types of carriages that make up the train. There are government run carriages, which are a bit more basic, and privately owned carriages, which are a bit more fancy. There are no power sockets or wifi on the government run carriages. Given how beautiful this train journey is, you don’t want to be travelling after sunset. Fortunately, the people who created the timetable knew this. 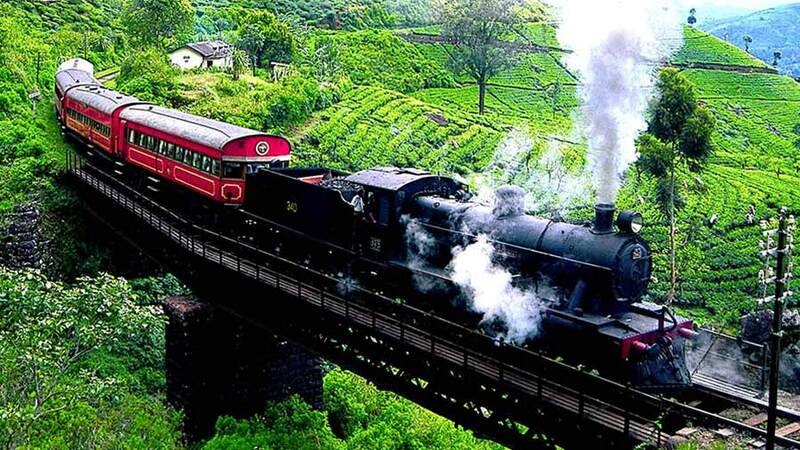 The Kandy to Badulla train (which stops in Ella) departs at 3:30am, 8:47am and 11:10am everyday. These morning departure times mean that you can see the beautiful scenery of the journey bathed in sunlight. This is truly magical. The 8:47am train is generally the most popular so be aware that the station might be pretty crowded. The unreserved carriages are also likely to be very full so bear this in mind. It is a good idea to get there early for a better chance of getting a seat. As with most things in Sri Lanka, the train journey from Kandy to Ella is a bargain. This seven-hour journey will only set you back around 302.68 RUP (€1.67, £1.50, $1.97) – yes you read that right – for a 2nd class ticket. First class tickets will cost a bit more (around 2010.90 RUP (€11.15, £10, $13) – 2421.50 RUP (€13.40, £12, $15.75)) if you book with an agency. If you happen to be in Kandy and can book your first class ticket in advance at the station it will cost you less than 504.50 RUP (€2.80, £2.50, $3.70)! You can also travel in third class, which is even cheaper, but this can get a bit crowded and uncomfortable. Given how cheap 2nd class is anyway, there’s no need to downgrade to 3rd class. Unless you particularly feel an urge to rough it. 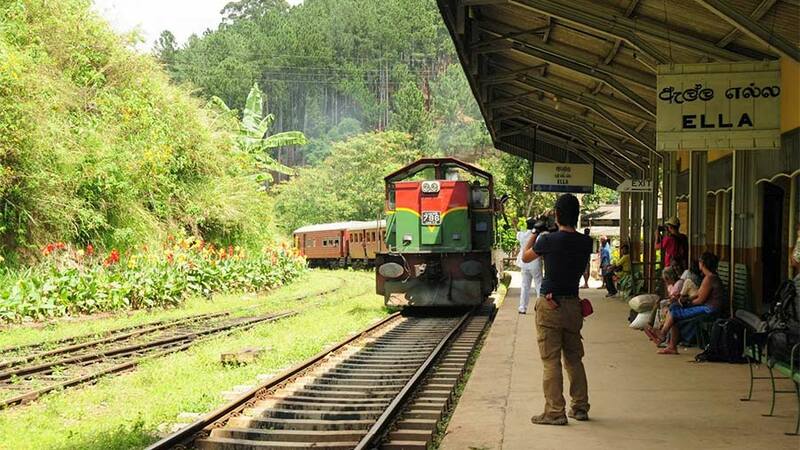 For a popular train route like Kandy to Ella, tickets sell out fast. You can buy tickets up to 30 days in advance and I recommend you buying them as soon as this booking period opens. ExpoRail normally offers passengers the option to book tickets online for their private carriages. The service is currently not running at the moment but should be working again in the near future. Depending on which class you want to travel in, there are different ways to book tickets. You should note, however, that Sri Lankan Railways does not offer online booking. The only way to book tickets in advance for the government run trains is through an agency or by going in person to the station. 1st Class & 1st Class Observation carriages are always reserved and tickets need to be bought in advance. If you travel on one of our tours, we will take care of this for you. Otherwise you need to book between 3 – 30 days in advance. 2nd Class & 3rd Class Reserved work like 1st Class. You will need to book in advance – particularly during high season. The bonus of doing this is that you are guaranteed a seat. 2nd Class & 3rd Class Unreserved tickets cannot be bought in advance. This means you can just go to the station on the day and buy them. The downside of this is that you aren’t guaranteed a seat and could end up standing for some or all of the journey. While 1st class seems like the best option I would recommend travelling in 2nd class. There is a good mixture of locals and travellers, the windows open and it is a much more interesting train experience. The carriage was jam packed to begin with but many people alighted after an hour or so. I ended up standing for about 2 hours and sitting for the rest. The stations might not be up to King’s Cross standards but for a developing country they are remarkably good. The majority of stations will have places you can buy snacks and soft drinks and there are always several seating areas. As for getting around the station, the signs are usually pretty good at pointing you in the right direction. Platforms and tickets booths are easy to find but if you do end up getting lost, the station workers will help you out. As a white girl who usually travels alone, safety is always an issue. I am pleased to say that the trains in Sri Lanka are perfectly safe for everyone. Not only are they usually really crowded (lots of witnesses) but Sri Lankans, in general, are incredibly friendly people. With morning departure times you don’t need to worry about arriving at your destination at night. Navigating a new place in the dark is never fun so an afternoon arrival time is ideal. The only thing I would say is that, with anywhere, keep an eye on your belongings. I have known people who have had their bags and belongings stolen while they dozed off on trains. This normally happens on sleeper trains but it always pays to be vigilant. In case I didn’t make this clear in the introduction – this journey is REALLY beautiful. I spent a significant portion of the journey staring out of the window and wasn’t bored for a second. Lush, green tea plantations carpet the hills on either side of the tracks, colouring the landscape with the most vivid green imaginable. There are even a few waterfalls along the way. Getting from Kandy to Ella by train takes around seven hours. I know what you’re thinking: seven hours on a train sounds like hell. But trust me, once that scenery starts coming into view the hours will melt away. If you are a lover of beautiful things then you really shouldn’t miss this train journey. 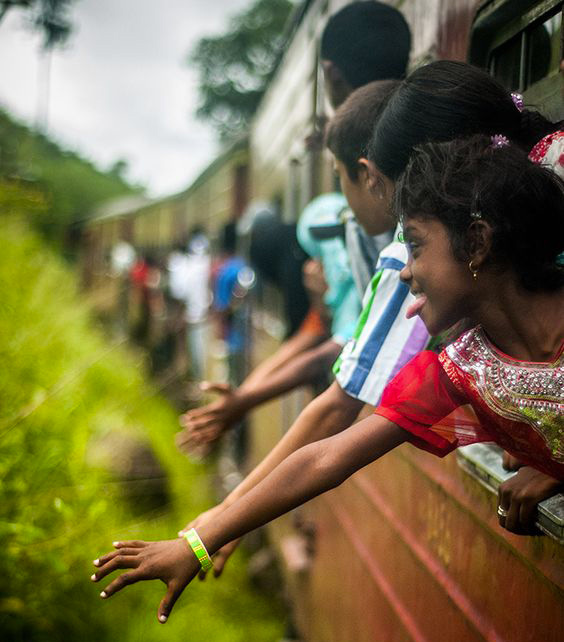 Taking a train journey in Sri Lanka is an amazing experience. You will see people hanging out of the windows and doors – something you don’t see everyday back home. There are also vendors constantly walking through the train selling samosas, chai, fruit and more. Perhaps the thing that makes a train journey in Sri Lanka so fascinating is that it is one of the few interesting things that isn’t exclusively for tourists. Sri Lankans use their railway system everyday. This makes it a much more authentic insight into local life. In England, if you strike up a conversation with someone on a train they will probably change seats. In Sri Lanka, the complete opposite is true. When I finally got a seat on the train, I sat next to a Sri Lankan man in his mid-40s who wanted to know all about me. I learned a lot from this friendly stranger and even put some of his advice into practice later on in my trip. Even if you’re not sitting next to a local, a long train journey is a great place to meet people. There were loads of other travellers in my carriage and given the lack of wifi on the train, they had no choice but to mingle! If seven hours on a train really sounds like too much for you then there is another option. The most beautiful scenery appears from Nuwara Eliya (Nanu Oya Station) through to Ella. So, you could get your driver to take you to Nuwara Eliya and then get the train from there for a shorter but equally beautiful journey. This journey takes around 3-4 hours so you will cut your journey in half. 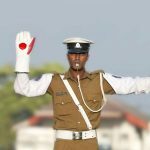 Alternatively, if you’re already in Ella, you could catch the train to Badulla or Haputale. The train to Badulla takes around 1 hour while to Haputale it is around 1h20. These places make nice day trips from Ella. The scenery from Ella to Badulla has even been compared to the picturesque mountains of Switzerland. Taking one of these shorter journeys is a better option for people travelling with young children. Kids don’t always appreciate the beauty of nature – especially not for 7 hours! A shorter journey will stop them from getting restless and bored. If going from Kandy to Ella doesn’t suit your itinerary or seems like too long a journey then there is another option. Taking the train from Colombo to Galle is an equally beautiful option and takes less than 2 and a half hours. The scenery is different but equal in beauty. Instead of hills and tea plantations, you will get some spectacular views of the coastline. With the sea on one side and little villages on the other, the vistas is truly stunning. Plenty of bottled water : The train can get very hot and there might not be any water vendors on the train (especially on government-run trains). Snacks : I took a few samosas, some crisps, energy bars and bananas. Don’t take chocolate as it will probably melt. Most stations have places to buy snacks. Toilet paper : There is a bathroom on the train but if you’re a lady you will need to take your own toilet paper. Portable charger : If you want your phone or iPod to last the whole journey you might need a back-up power supply. Comfy clothing : You’re going to be sitting for a long time in a hot train. Tight jeans are a no-no. Opt for loose clothes that let your body breathe. Entertainment : The scenery is beautiful but there will be patches that aren’t that great. For these periods it’s good to have a book or music. There are hundreds of reasons why getting the train from Kandy to Ella is a good idea. It’s cheap, beautiful, authentic and more. But over everything is the fact that the train journey will always hold a special place in your heart. When you look back on your trip in Sri Lanka you will have a lot of memories (some better than others). I can personally guarantee you that this train journey will be among the top. It seems so odd to say this about a train journey but you’ll understand when you do it. 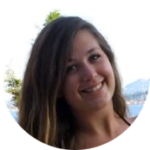 Have any questions about the Sri Lankan train journey, don’t hesitate to ask me!